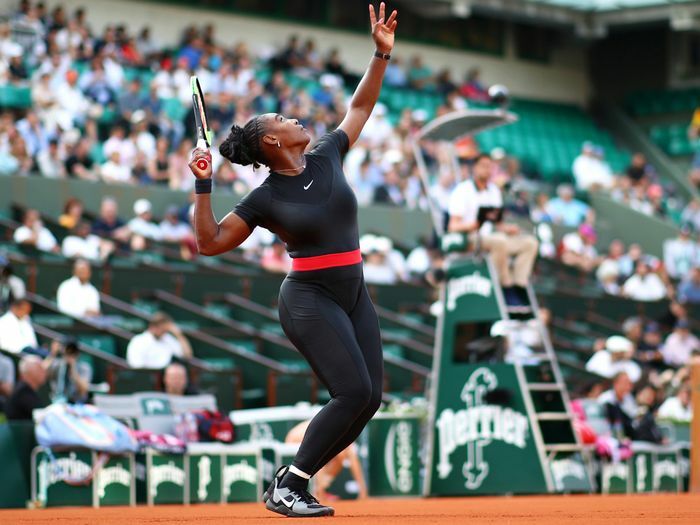 As both a fashion editor and tennis player, I loved Serena Williams's Nike catsuit at the French Open tournament back in May. She loved it too, calling it a dedication to fierce moms who have come back from tough pregnancies. It seems like the only person who didn't like it was the president of the French Tennis Federation, Bernard Giudicelli. Per The Associated Press, Giudicelli says the French Open will now institute a new dress code for players. Historically, Wimbledon's all-white dress code has been the only outfit regulation at any of the four Grand Slams, where female players typically wear dresses, skirts, or shorts. 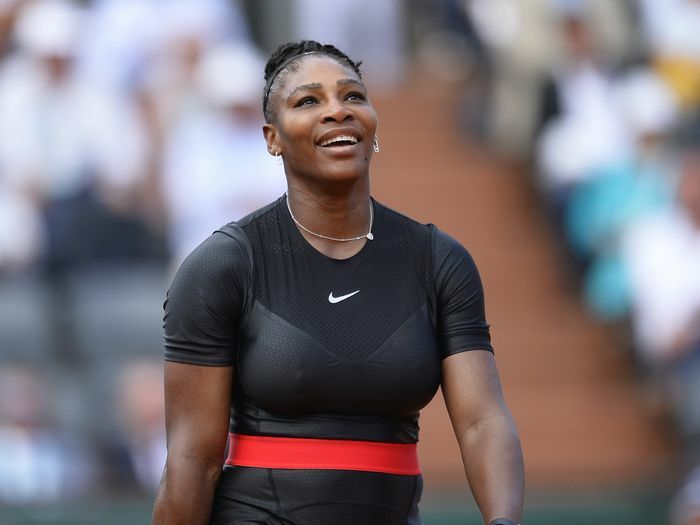 "I think that sometimes we've gone too far," he told Tennis Magazine, referencing on-court outfits, highlighting Williams's catsuit in particular: "It will no longer be accepted. One must respect the game and the place." Here's the problem, Giudicelli: It's not Williams's job to make you feel comfortable with her appearance. Maybe you missed the memo, but Williams's catsuit was not merely a fashion statement. In January, Williams told Vogue she almost died during childbirth due to complications from blood clots, and in May, she stated in a press conference that pants help keep her blood circulation going. There is so much to unpack from his statement, but the fact that he deigned to use the word "respect" stood out to me. Indeed, there is a glaring lack of respect, but not on Serena's part. Where is the respect for a 23-time Grand Slam champion whose comeback undoubtedly raised ticket sales for the French Open? Where is the respect for a mother taking every precaution possible for her health? Where is the respect for an athlete who is allowed to wear whatever she pleases on her way to collecting a record-breaking number of trophies? Giudicelli and the French Tennis Federation would be wise to get on the right side of history when it comes to arbitrarily policing women's clothing choices. In the meantime, I'll be rooting for her at every tournament—no matter what she's wearing.